Double citizenship is an issue that has long been reoccuring in the work of the Parliament of the Republic of Lithuania and has also been an unresolved issue for a long time. According to the Constitution, it is possible only in very exceptional cases, and the norm is that a Lithuanian citizen who receives citizenship of another country loses Lithuanian citizenship. Probably, if Lithuania were to adhere strictly to these types of solutions, the number of citizens of the Republic of Lithuania would have diminished alarmingly, especially now that in the face of Brexit many, out of thousands of Lithuanians living in the UK, are applying for a British passport. Lithuania belongs, within the European Union, to the countries that most often grant their citizenship and is very skeptical about dual citizenship. Currently, only those who left Lithuania before regaining independence and their descendants are entitled to the citizenship. There are also exceptions that are focused on the fact that dual citizenship can preserve foreign-born children if they acquired foreign citizenship by birth, as well as those who automatically acquired other citizenship by marrying a foreign citizen. Meanwhile, more and more Lithuanians are going abroad. According to the Lithuanian Department of Statistics, at the beginning of 2018, 2 million 810,000 citizens lived in Lithuania, which in comparison to the previous year is fewer than approx. 38 thousand and nor it is a demographic decline, nor the emigration is the main reason for the depopulation of the country. Last year, 57.2 thousand people left the country. Not everyone, but certainly a large part of the expatriates will not come back, and when they are settled in a new place for good, they will start applying for foreign passports, just like many others who left already in the times of Independent Lithuania… Every year, several hundred people lose Lithuanian citizenship because of the citizenship of another country. 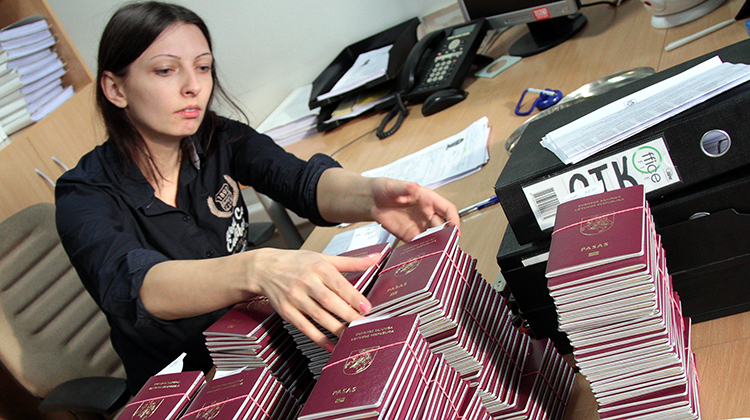 Many of those who have two passports just try to wait for a change in the law that is more convenient for them. When they come to Lithuania, they do not boast about having foreign documents to avoid losing Lithuanian ones. – We left with my future husband as students, almost 25 years ago. At that time no one thought about such matters as citizenship, besides – we were scholarship holders of the Polish government. On the one hand, we were Poles from Lithuania, but on the other – we felt at every turn that we were foreigners. At the beginning all the time you had to take care of obtaining visas, then appeared other restrictions. It was slowly beginning to put together, I found a good job, we got married, we wanted to buy a house… It had even been before Poland and Lithuania joined the EU. Practical reasons have prevailed – we have begun applying for Polish citizenship – says a Pole from Vilnius Region, permanently living in Warsaw, who does not want to give her name and surname. Theoretically, she should not be a citizen of Lithuania anymore. – A lot of people chose this solution. It is simply not reported that citizenship of another country has been obtained. Officials are probably quietly allowing it, but that does not mean that this situation is pleasant. Today, maybe it’s a bit calmer, but a few or a dozen years ago around this case was a very unhealthy atmosphere. It is as if the state was afraid of people who left and gained the citizenship of another country. A bit as if we were potential traitors. We were also afraid. The discussion about double citizenship has been going on for a very long time and there have been various ideas on this subject, including those that go very far. A few years ago, for example, a scandalous proposal that gave the right to double citizenship only to ethnic Lithuanians appeared, as Poles felt so vulnerable. We were afraid that we would lose Lithuanian citizenship, and that would have very tangible consequences. As a foreigner, I could not even inherit from my parents the land, and it was a bit of it. Regulations are fortunately changing, Lithuania must slowly adapt to European standards, but we have experienced a lot of fears over the past 25 years. A lot has changed after joining the EU. It’s not just about open borders, but about changing mentality. Suddenly we found ourselves in a club of countries where such things are normal, in which no one is afraid of double citizenship or the fact that someone is bilingual. My children are already growing up in this world, with no unnecessary problems – explains the Pole. The interviewer of “Kurier Wileński” stresses that although she does not intend to return permanently to Lithuania, she would not want to lose her Lithuanian passport. – Why would I want to keep Lithuanian citizenship? Now it seems that it does not matter too much. But it’s a bit like an old family home. Maybe it is not worth to a stranger but to someone else, who grew up in it, it is of great value, the destruction of such a home is a tragedy. I do not want to lose my relationship with Lithuania, although as a Pole I have often felt discriminated against. It’s not just that my parents are here. They observe what is happening in Lithuania, I attend elections. My children are learning Lithuanian, they do not do it very willingly, but I keep explaining that it will be useful in life. This is important to me and I am a bit sad that nobody appreciates it – he says. So far, no Lithuanian government has solved the problem, although the permission to have double citizenship, at least for Lithuanian emigrants, is gaining more and more supporters. However, the change of regulations is not easy, because according to the Constitution, it can only be resolved by a referendum. It turns out that in this matter not the most unexpected result may arouse, but the validity of the referendum itself. How to mobilize at least 50 percent entitled to vote to go to the polls? Politicians try in different ways. 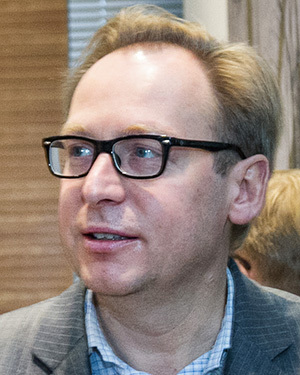 One of the advocates of implementing double citizenship, the chairman of the Parliament, Viktoras Pranckietis, announced that a referendum on this matter is planned together with the presidential election to optimize costs and attract more voters. Citizens of Lithuania would also have the opportunity to speak on the occasion of one more important matter. Together with the presidential election and the referendum on double citizenship, a referendum could be held to reduce the number of deputies to the Parliament. However, if even the citizens of Lithuania decide in a referendum to expand the possibility of having double citizenship, it means that Lithuanian citizenship will be more difficult to lose, but it is not necessarily easier to gain. The laws proposed so far are usually about the possibility of preserving Lithuanian citizenship by people who went abroad and obtained citizenship of one of the NATO or EU countries, and not about the possibility of double citizenship for those who came to Lithuania. And they also come. For now, however, the state is not interested in naturalizing immigrants, even if they have lived in Lithuania for many years. – I have asked for Lithuanian citizenship two times and was refused on both occasions. Maybe because I often argue with the Lithuanian state, asking for the right to the original spelling of the surname? – says Roman Gorecki-Mickiewicz, a descendant of the bard Adam Mickiewicz who came to Lithuania many years ago from France. Why is Lithuanian citizenship attractive for a citizen of the European Union when there are basically no legal barriers? – It was important to me because I feel very attached to this country and its culture. My family lives here, my daughter has double citizenship, but here are also my roots, where my ancestors came from. In addition, I notice a lot of small things that convince me that foreigners are discriminated against in Lithuania. It’s not about big things, but it’s unacceptable to me. For example, as a foreigner, enrolling to a sports club, I have to pay an annual subscription in advance, and a Lithuanian citizen can order it for a year and pay monthly. Is this discrimination? I also had various problems with SODRA, because someone incorrectly wrote down my last name. There are many such cases. These are small things, but they show that the state is not in favour of the people who have come here. It seems to me that we should talk about it more – says Roman Gorecki-Mickiewicz. Citizens of the European Union are, however, the smallest group among people who decide to live in Lithuania. Most of the arrivals are from the countries of the former Soviet Union. Valentine comes from Ukraine. He came to Lithuania 14 years ago for family reasons – he married a Pole from the Vilnius region, whom he met during his studies in Poland. – What was the most difficult after coming to Lithuania? Probably finding a job. Of course, you need to know the language, and this is not the easiest – he says. Man binds his future with Lithuania, he recently completed the construction of a house near Vilnius. Do you think about obtaining Lithuanian citizenship? – I felt more than once that I was a foreigner. I felt that people were dealing with some distrust when I pulled out a Ukrainian passport at the office or at the time of admission to work. Now it is slowly passing, probably because more and more people are coming to Lithuania. To settle all matters, all I need is a permanent residence permit. I have a Lithuanian document that confirms this. As a citizen of Ukraine, I have more options when it comes to traveling abroad without a visa. I can travel all over the EU, but I do not need a visa to Russia or Belarus. In practice, the only thing I can not while living in Lithuania is to vote in parliamentary or presidential elections. I vote in local government elections – he explains. – If in Lithuania you will ever have the possibility of having double citizenship, I will certainly try to do it. Now, at the price of resigning from the citizenship of Ukraine, I do not take this option into account. I associate my future with Lithuania, but a large part of my relatives still live in Ukraine. I do not want to cut myself off from my loved ones, the past. Anyway, you never know how life will go – ends our interlocutor. It is not known how the life will go, so far it is also not known how long will take Lithuania to change the existing law. The Constitution was created in a very special period, and its creators had to take into account a very specific threat after the collapse of the Soviet Union. The inhabitants of Lithuania simply had to choose, they were no longer living in a former state without borders, and with a neighbor from the East they wanted a radical divorce. Double citizenship is certainly not a “wanted” solution. This possibility in the Lithuanian-Russian version could be particularly worrying. Open borders, however, make it necessary to face this reality. This is understood by both Lithuanian residents and politicians. As for the first ones, there may simply be a bit of effort to take part in the referendum. When it comes to the involvement of politicians – it will be necessary to create specific laws that will explain how a possible change in the Constitution is to be implemented and who could apply for double citizenship. For now, Lithuania remains very jealous a country, although today it is increasingly apparent that nothing will gain from jealousy.